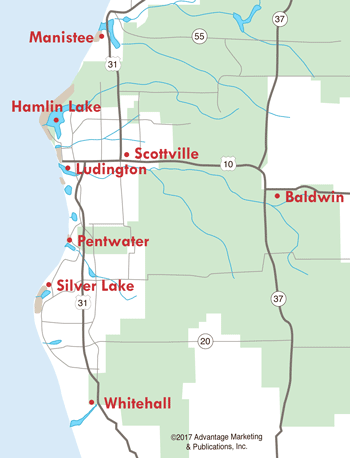 Summertime means outdoor arts and crafts fairs, and communities in Manistee County often include these fairs as part of their festivals. Many talented people from near and far offer their wares for sale in the beautiful outdoor settings which occur throughout Manistee County. Here you can find many unique handcrafted and artistic items for your own home or for gift-giving. Here's what usually occurs. Dates for 2019 are being posted as they become available. 27 - VFW Auxiliary Spring Bazaar, 10am-3pm, VFW Post 4499, 1211 28th St., Manistee. - KND Elementary PTO Craft and Vendor Show, 11am-3pm, Kaleva Norman Dickson Elementary School, 4400 N. High Bridge Road, Brethren. 17 - Spirit of the Woods Festival, Dickson Park, Brethren. 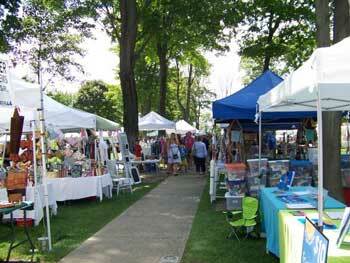 5 & 6 - Manistee 48th Annual Summer Art Fair, 9am-5pm, Red Szymarek Park, Manistee. 13 - Bear Lake Days Arts/Crafts Show, 9am-5pm, Main Street, Bear Lake. - Kaleva Days Arts/Crafts Show. 27 & 28 - Arcadia Daze Arts/Crafts Show, Saturday 10am-6pm, Sunday 10am-2:30pm, Fourth Street, Arcadia. 2-4 - Onekama Days Arts/Crafts Show. - Brethren Days Arts/Crafts Show.